Includes wallpaper, icons, color scheme, cursors and sounds. The file is a self installing executable file. I also highly recommend downloading the freeware program Desktop Architect with it. This program allows you to easily change the options in the themes you download. I often find that I download a theme, install it and the color scheme is too dull or too bright for my taste. This program allows you to customize any theme to your liking. It's also free! Another theme will be available soon that includes different sounds, wallpaper and color schemes. A better one, hopefully! A FOL logo in the background with a spinning 3D cube of cast photos. A self-installing executable file. This is the same wallpaper included in the desktop theme. It is a collage of framed cast pictures. This wallpaper has a sort of Brady Bunch theme, very nice with all four girls and Mrs. Garrett. 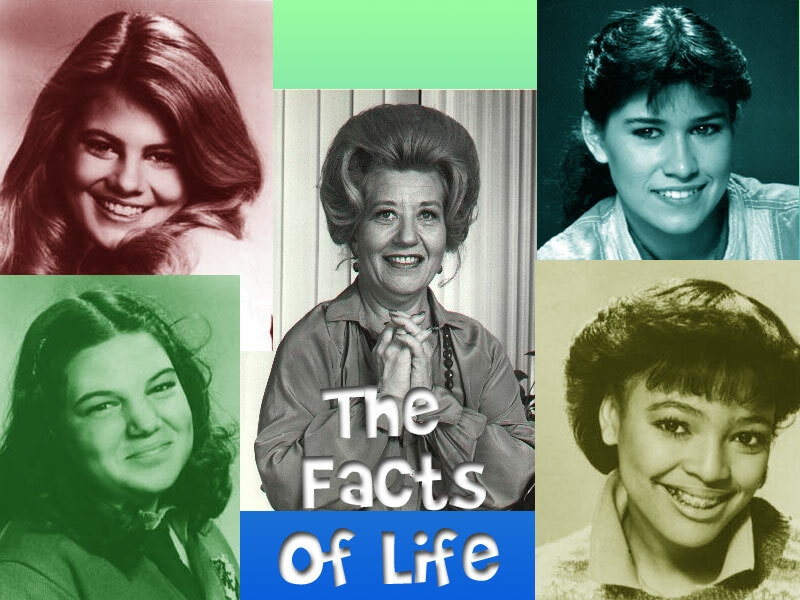 In tribute to the Facts Of Life Reunion movie, here is a brand new wallpaper for your desktop. 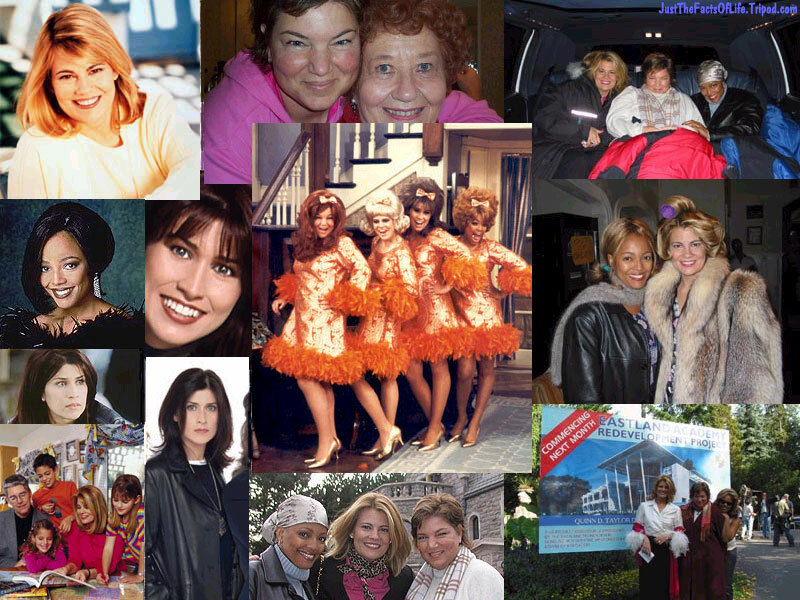 Features a collage of recent images of the Facts Of Life actresses. To save the wallpaper, right click on the image and select "Save As..." or "Set As Wallpaper"
Includes (5) purple Eastland era Jo, Blair, Natalie, Tootie and Mrs. G icons. Includes (5) black & white Over Our Heads era Jo, Blair, Natalie, Tootie and Mrs. G icons. Includes (5) full color Eastland era icons. Jo - "In a minute you're gonna be wearing flared teeth." Jo - "What's that? Slumming builds character?" MrsG - "Face it Blair, you're just about perfect in every way." MrsG - "Would you girls care for a bowl of Meow Mix?" Natalie - "She's a breath of fresh air isn't she?" Natalie - "Just in time for the good stuff." Arnold - "Those girls? I'd laugh but I've made previous plans to throw up." Download Stacy Q's "Two Of Hearts"
Featured in the episode "A Star Is Torn"
Download Stacy Q's "We Connect"
Download El Debarge's "You Wear It Well"
Featured in the episode "Doo-Wah"
To listen to these files, I highly recommend downloading Winamp. It's a good, free player and customizable with many skins.